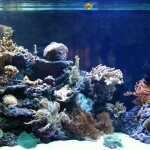 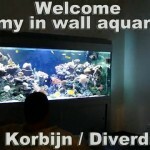 Here is a fantastic HD video of Jan Korbijn’s 338 gallon in-wall reef tank. This fantastic 200cm x 80 cm x 80 cm (1280 Liter) in-wall creation is a nice departure of the SPS dominant tanks we regularly show. 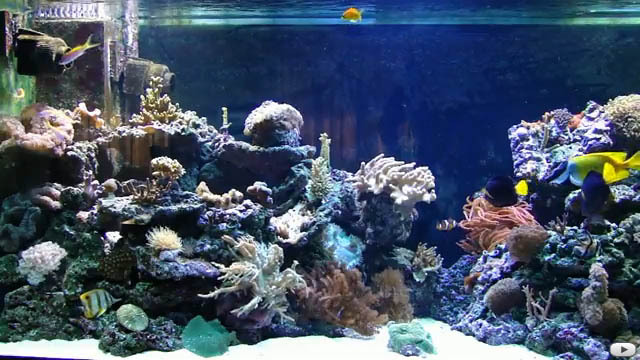 A nice combination of softies, mushrooms and polyps, LPS and some SPS, along with a variety of tangs, anthias, a flame angel, rabbitfish, clownfish, cardinals, a butterfly, and several other reef fish. 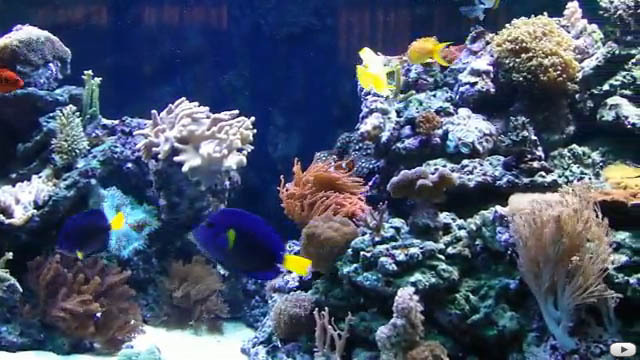 This aquarium is just packed with movement and life. 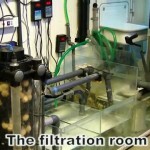 Now, let’s talk about the fish room! 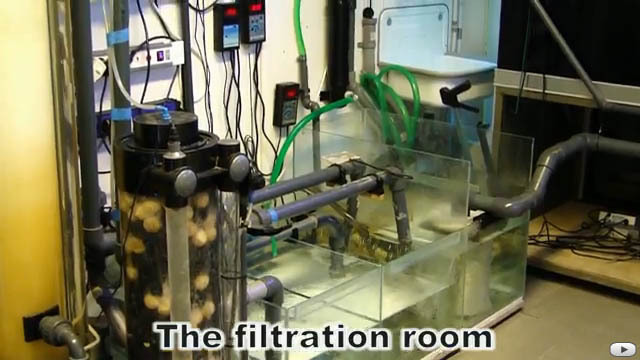 That skimmer looks like it’s about 7′ tall, sand filtration, a 77 gallon sump, and lots of gadgets, all arranged very neatly. 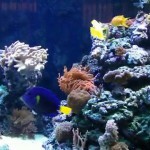 I love seeing how other hobbyists plumb their tanks. 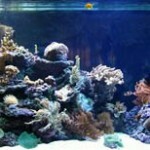 It always give me new ideas to try with the next evolution of my reef system.